Sunshine! Crystal Green Water! Sugar White Sand! Make your Own Footprints in the Sand! Islander Sand Castle for your Beach Imagination! 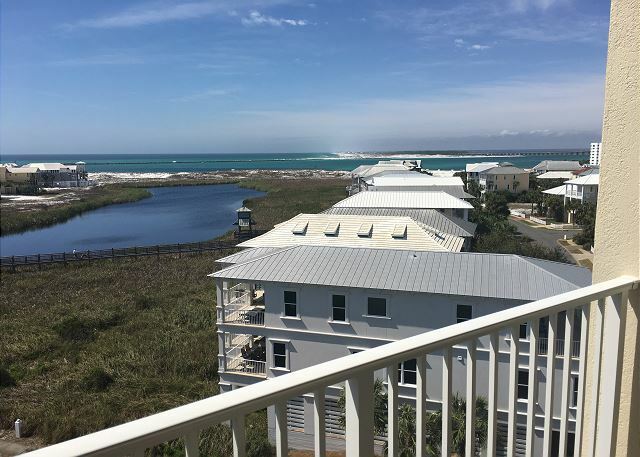 This beach-front, 2 bedroom/2 bath vacation condo is located in Destin, Florida along the beautiful waters of the Emerald Coast. 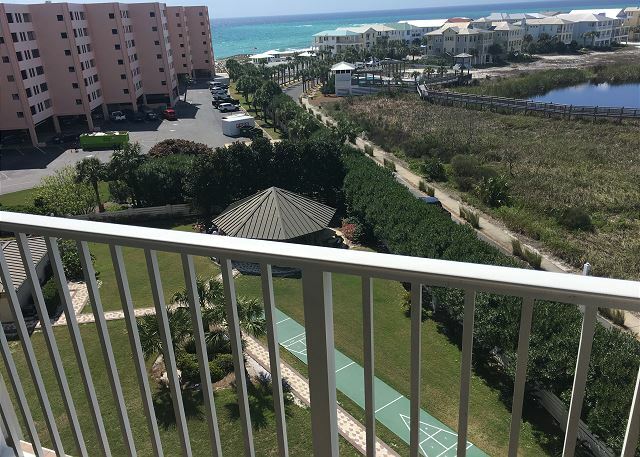 Condo #718 is a top-floor end unit with gorgeous gulf views. Take in amazing sunsets and the weekly fireworks from the balcony. Destin's sugar-white sandy beach is just steps away. You will enjoy the crystal green waters and sun sitting in your two complimentary beach chairs with umbrella during your stay (set up on beach from March 1 ‘til October 31). Experienced beach service attendants will facilitate extra beach activities for a fee. The unit accommodates up to 6 people with a king in the master bedroom and a 32' TV; 2 twin beds in the guest bedroom with 24' TV, and a sleeper sofa in the living room with 42' TV. Master bathroom has walk-in shower. • Designated smoking areas (inquire @ check-in); No smoking in rooms or on balcony. • Guests receive initial set up of paper towns/toiletry/trash bags. Guests need to provide their own supplies after initial supplies are depleted. Your fun and relaxing vacation at the Islander Condominiums & Resort awaits you! I was working the hurricane Michel relief effort and worked in panama city beach area and stayed in Destin . Clean and with a nice lay out. Just a great, relaxing vacation and a very good value. I needed more time to stay! It was wonderful! I would like to returned next year. Nice condo. Clean, comfortable, quiet, nice balcony view. The balcony view IS amazing. The sunsets are just stunning as well. 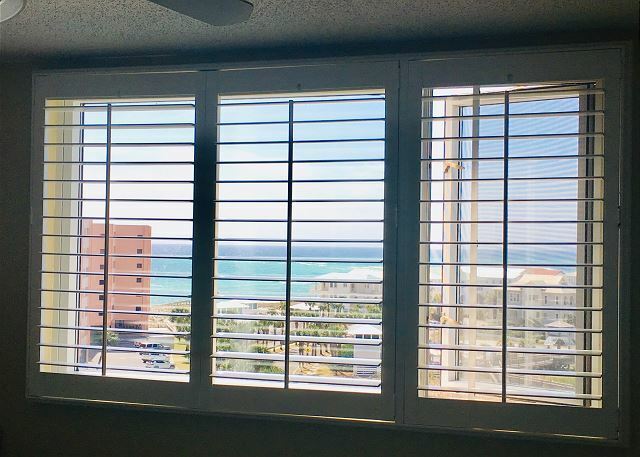 Be sure to remember this view when you book your next stay! The furnishing are comfortable and practical. The beds are comfy. Desk staff were friendly and helpful. Pools and hot tubs are clean and enjoyable. 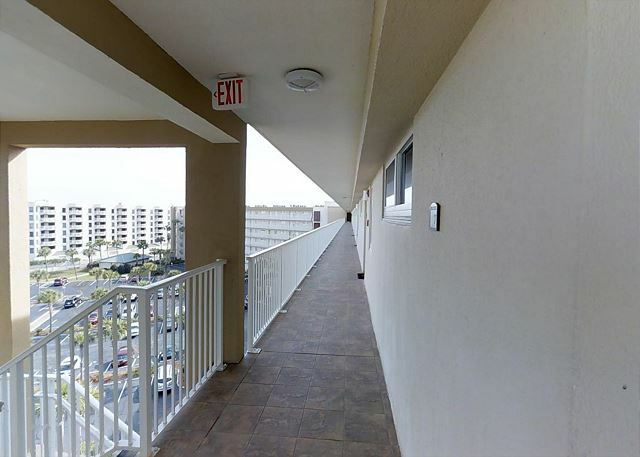 Convenient location to the beach and to shopping. Grilling area is a great bonus. Affordable stay. Safe quiet streets and sidewalks for walking and running. This property is fabulous, the view, the accommodations and the location. There are many activities and very close to the beach, with two beautiful pools. The restaurants around the area are excellent, we never found a bad one. Found this place by accident last year and fell in love with it right away. We'll definitely be back!